If you grow your own vegetables, green beans might be one of the features in your garden. Since they grow on trellises, they make a space-efficient addition suitable for a variety of scrumptious recipes. For those people who want to preserve that fresh green bean flavor, hot water canning is an option that comes with a caveat. 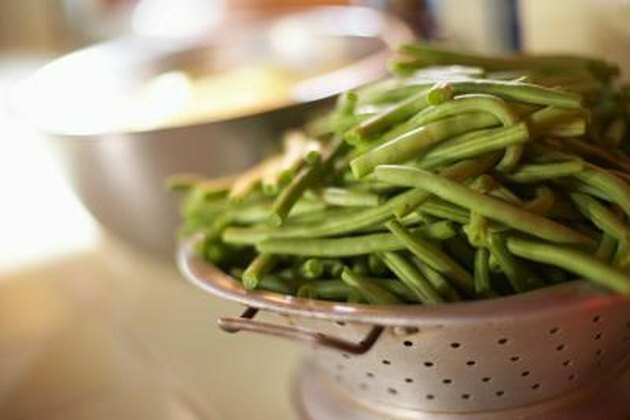 Pickling the fresh beans is the only safe method for hot water canning green beans without a pressure cooker. Nonetheless, the crisp, dilly nature of the finished pickles delights many. Fresh grean beans make an excellent home-made pickle option. When choosing beans for canning from your garden or the farmer's market, look for those that are fully mature and crisp. Check the beans for any signs of pests or disease, keeping only the healthiest ones. If you're not sure how many beans you'll need, a good rule of thumb is 1/2 pound of fresh beans makes 1 quart of dilly bean pickles. 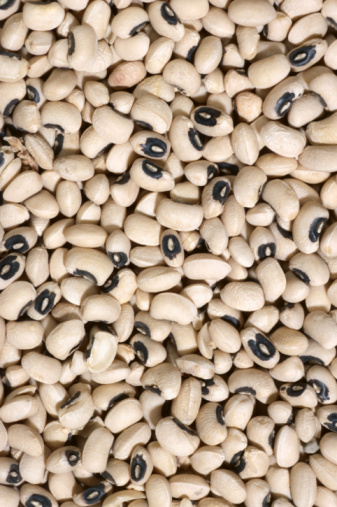 A whole bushel of beans makes an average of 17 quarts. If you do not have canning jars you can find them at most supermarkets in the seasonal or household isle. If you already have jars, get new lids for the best food safety practices. Sterilize the jars, lids and securing rings in the dishwasher's sterilize cycle or by using hot water in a clean sink. When you use the sink method, leave the jars in the hot water until you're ready to fill them. Rinse your beans in cold water. Trim the ends. Leave them in a bowl with the water, adding a few ice cubes while you cut them to the preferred size. In cutting, remember that you want to leave 1 inch of head space in your jars. Pack these beans into each jar. According to the Penn State Cooperative Extension, you'll need 4 cloves of garlic, four bright dill blossoms, 1/4 cup canning salt, and 2 1/2 cups each filtered water and white vinegar for 2 quarts of dilly beans. If you want a little heat, add 1/2 tsp. cayenne pepper flakes. Put two bundles of the dill and two cloves of garlic in each quart jar. Heat the salt, water and vinegar until it comes to a low, rolling boil. Pour the liquid mixture into the jars until it reaches 1/4 inch from the lid line, wiping each rim. Put the lids in place and twist the bands securely. Put the quarts into a hot water bath. Make sure the water fully covers the jars. Leave the jars in the boiling water for a full 10 minutes. Use a jar lifter to remove them and place them on a heat-proof surface to cool. You should hear the lids "pop" within a few minutes. This sound indicates sealing. A secondary check, once the beans cool, is to push in the center of the lid. There should be no give. If this is the case, your beans are ready for storage.